Just several hours ago the minister of sports Stuart Ayres and Bankwest managing director Rowan Munchenberg met at the construction site of Western Sydney Stadium to announce it's going to be named differently from now on. 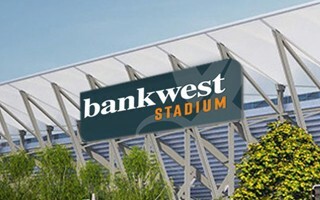 According to the secured naming rights deal, the value of which is yet to be revealed, the stadium will be named Bankwest Stadium for the next 7 years. The contract is a crucial part of making the new $360-million facility self-sustainable after delivery next year.